Walk your way to a healthy 2019! First of all Happy New Year to Hedonistic Hikers around the world, and we hope that you are full of vitality for the year ahead! One of our favourite UK magazines, Country Walking, has kicked off the year with a mission to encourage as many people as possible to walk just under an hour each day, which equates to 1,000 miles in a year, and the benefits of this regular exercise are manifold. If you'd like to find out more follow the article below. Booking a walking holiday for later in the year could be just the incentive you need for this call to action, as you start to work on your strength and fitness in preparation for the trip. 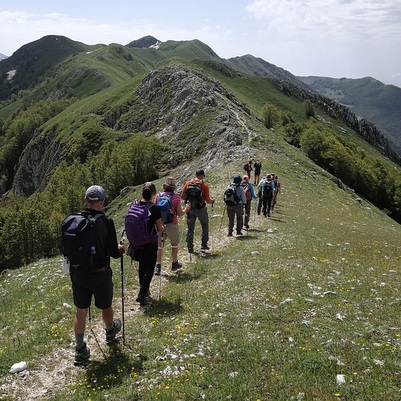 If you thrive on challenging but exhilarating hiking in high mountains with far-reaching views, then join us from 21-29 June on our France & Italy walk (see photo above). We follow the high passes of the Maritime Alps on trails steeped in history, crossing from Provence into Piedmont which was voted one of Lonely Planet's top regions to visit in 2019. The National Parks on this tour teem with wild flowers, waterfalls and alpine wildlife, so this hike is a feast for all the senses. If you're drawn to a more tempered landscape, rolling hills dotted with vines and olive groves, take a look at A Tuscan Harvest, 22-29 September. This is gentle autumn hiking with wine tastings, a cooking class and visits to Tuscan castles and gardens. It's the time of year when locals gather porcini mushrooms and chestnuts and winemakers are busy with the grape harvest. Exploring on foot brings all this to life and truly works up an appetite for Tuscany's famous cuisine! If you are in Brisbane on 13th Feb or Sydney on 19th Feb then join us for our free Information Evenings and find out everyting you need to know about a walking holiday in Europe. From boosting memory to reducing the risk of Type 2 Diabetes, walking can help you to do it all. Country Walking magazine's eight point health survey shows that regular walking can benefit your head, your heart, your lungs and your joints, as well as improving many other aspects of daily life. 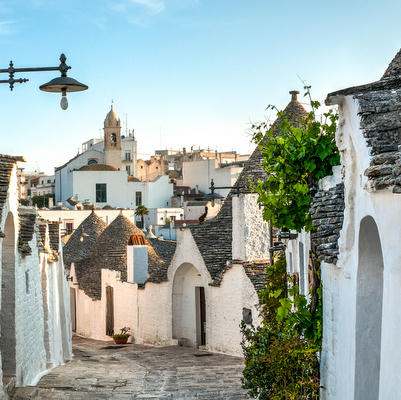 In response to an increasing number of questions from our guests about extending their holidays in Puglia, we have put together our own regional guide, which highlights both the hot spots and hidden gems. 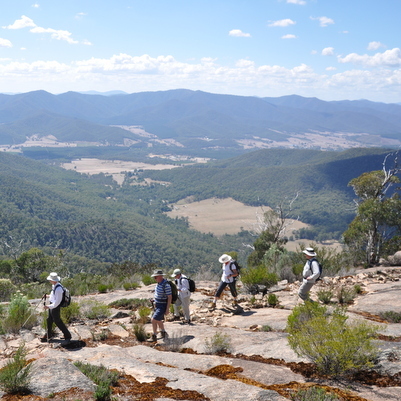 Join us in Brisbane, Sydney and Victoria's High Country! Remember our free Information Evenings coming up in Brisbane on 13th Feb and Sydney on 19th Feb.